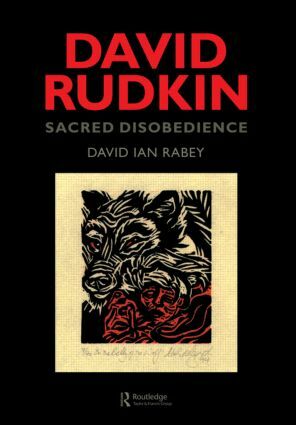 Dr. Rabey's profound critical study of David Rudkin's drama constitutes an in-depth evaluation of this unique dramatist, re-assessed in the light of his bi-sexuality and Anglo-Irish origins. This key study includes insights from noted performers of Rudkin's work, including Ian Hogg, Peter McEnery, Ian McDiarmid, Gerard Murphy, and Charlotte Cornwell. It is a fully authorized study with exclusive reference to archival material which includes some frank and urgent interview contributions from the dramatist himself, who is usually deemed reclusive. It is enhanced by Dr. Rabey's own experience of Wales, Ireland, and the English Black Country for his exposition of Rudkin's mythic sense of Celtic and Mercian history. David Rudkin is a leading British dramatist, author of Afore Night Come, Cries from Casement as his Bones are Brought to Dublin, Ashes, Penda's Fen, The Sons of Light, The Triumph of Death, The Saxon Shore, Symphonie Pathetique, House of Character, Blodwen, and Home from Rachel's Marriage. Authoritative in its reference to all Rudkin's work for theatre, cinema, radio and television, this profound critical study aims to prompt a reappraisal of his work in current dramatic, theoretical, and sexual contexts.